The most modern version of Winchester's famous Black Talon is the friendlier sounding Winchester Ranger. This premium law enforcement grade 180 grain .40 S&W ammo features one of the highest performing hollowpoint bullets available on the market today. Designed to rapidly expand on impact while retaining maximum bullet weight, the Winchester Ranger offers unbeatable performance at an equally unbeatable price. The unique "petal" (or talons if you remember the early marketing) of the expanding hollowpoint create a crippling wound channel that increases your chance of ending a gunfight early and in your favor. Traveling at 1025 feet per second, and delivering 420 foot pounds of energy, you can depend on this cartridge for home defense or duty use. New, clean boxer primed brass cases are reloadable may times over. Backed by decades of innovation, and combat proven performance, Winchester Ranger .40 S&W is something you can literally bet your life on. Packed in 50 round boxes, this is perfect ammo for immediate use or long term storage. 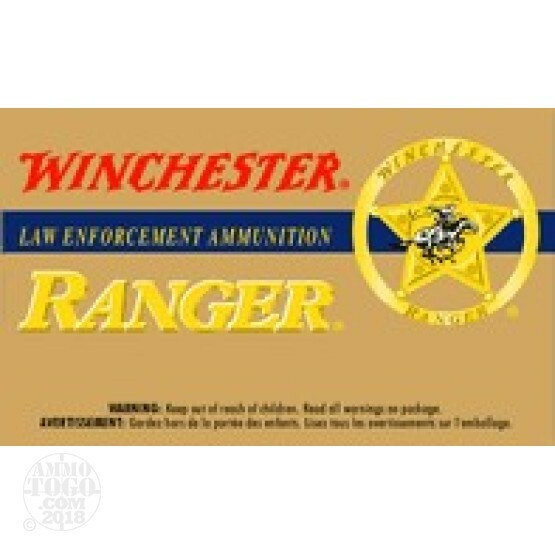 Supplies of Winchester Ranger are not predictable, so take advantage of this rare opportunity when it presents itself. You simply cannot find a more venerable, time honored and reliable .40 S&W hollowpoint on the market today. Expansion Diameter Compared to All 40 Smith & Wesson Ammo Tested MIN 0.39" MEDIAN 0.65" THIS AMMO 0.86" U.S. dime MAX 0.89"
Penetration Depth Compared to 40 Smith & Wesson Tested 0" 10" 20" 30" MIN 9.8" MEDIAN 16.5" THIS AMMO 14.8" MAX 32"